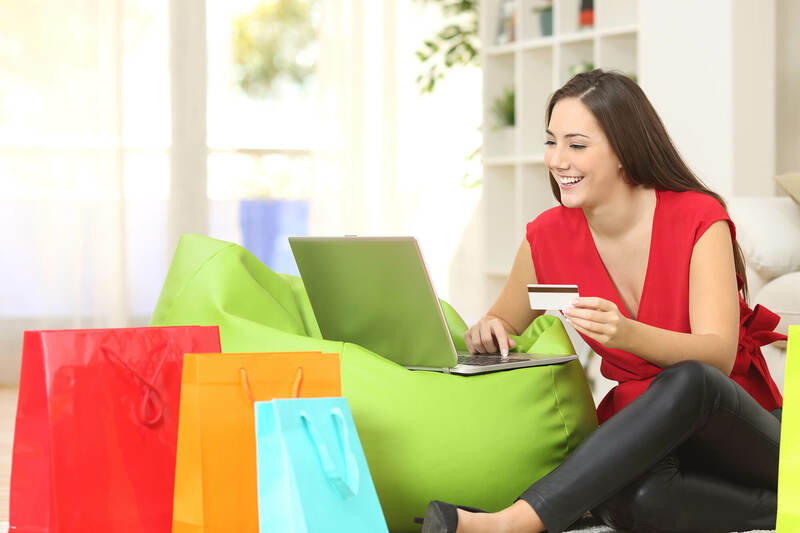 Before layering your eCommerce experience with new shiny objects, learn about the top elements that matter to your customers in an online shopping experience. According to a recent PwC survey, 65% of consumers in the UK give priority to customer experience while making their buying decisions. In the case of online shopping, customer data analysis and personalisation are touted as critical components of delivering an engaging customer experience. However, a recent survey of online shoppers in the United States places the focus back on the basics of an eCommerce experience – Product Images, reviews and descriptions. Are you surprised that customer Data – “remembering preferences, information and history” are pretty much the least important experiential elements while the most important ones are Clear Product Images, Product Reviews and Descriptions? The online shopping patterns for UK and US shoppers are closely identical. Considering this, you now know what your eCommerce store must focus on, to deliver engaging online customer experience. If you are a B2B or B2C firm trying to revamp your legacy eCommerce site or set up a brand new online business, this article will help you learn and implement the foundational elements. Clarity and Context and Experience - Irrespective of being a B2B or B2C business, focusing on these three areas of product images can help you engage and convert your customers better. Online product experience is very different than that in a physical retail store. Hence, the quality of product images is of foremost importance to make your customers stick to your online store. Product shots captured from relevant angles, with clear resolution and light, and with a white background helps create a complete and consistent look of your product. Make sure the product image quality is consistent across your retail channels and product lines. Additionally, the raw materials should be clearly discernible in terms of their quality, and texture. This holds true for both B2B and B2C products, more so for B2B products that are generally ordered in bulk. Context and relevance of a product significantly improve the chances of its purchase. Hence, your product shots should be a mix of product-only shots and contextual shots that display their relevance to your customers. All of us have visited furnishers and home décor retail stores that display a complete living environment of a home, Kitchen, Bedroom, etc. From a table runner to a floor mat, every item is displayed in its functional environment. We aspire for such living spaces and hence, for the products that make-up those spaces. You can re-create this emotion on your online store by letting your products tell a story that resonates with your customers’ lives and situations. A summer collection shot in an outdoor setting, different models showcasing different size of a clothing (Modcloth), power tools displayed in their functional environment (Stihl), a Pilates T-shirt shot alongside a Yoga Mat and dumbbell (The Live Fit Girls) are all examples of creative images that tell a story about the product. When customers look at these images, some part of the story resonates with them and that creates a bond between your customers and your brand. This bond is a determining factor for customer retention and loyalty. According to Bright Local, 85% of consumers trust online reviews as much as personal recommendations, while 49% only choose businesses with at least a four-star rating. Rating System – A star-based rating system for overall product or service experience. You can further divide the rating for sub-categories, including sub-categories such as delivery time, packaging, customer support etc. Review Comments – Guide the customers to include certain critical aspects to include in their comments. These generally align with the categories that are defined for ratings. Always give examples of a comprehensive review that can help other customers to reach a decision. These should include aspects such as quality of product, durability, product displayed vs. delivered, packaging, any special requests were taken care of etc. The review criteria can differ for different businesses such as Hospitality vs. B2B tool manufacturers. A good idea is, to begin with, broad universal criteria and then narrow it down per your business focus. Review Communication – Let your customers know where and when can they post their reviews and stories. Reviews are best posted on your eCommerce site while stories are better shared on social media forums. It is highly lucrative to create a follow-up communication post-purchase, asking your customers to provide feedback. For more loyal and repeat customers, you can even tie feedbacks with their loyalty points giving them an additional incentive to provide feedback. Product reviews can help your eCommerce site be found through SEO and add credibility to your products, services your eCommerce site itself. Using product reviews and ratings data, you can re-focus your business on top rated products and show your customers what’s trending most, further easing their buying journey. Despite having great product imagery, your online retail store may witness high cart abandonment and returns. Incomplete product information is one of the main reasons for cart abandonment. Similarly, the gap between what is promised on an eCommerce site vs. what is delivered is the top reason for product returns. This includes wrong colour representations, size standards, unstated raw material detail, misstated attributes and more. The higher the number of these incidents, the lower will be your customer retention and loyalty. On the contrary, a simple, complete and enriched product description can enhance the online shopping experience and convert more customers. Just like Product Imagery, product description has to be clear, complete and contextual. Size charts, colour, in-stock availability, delivery time, and other such aspects ought to be accurate, clearly defined and easily available information. This information is pivotal to the decision-making process and cannot be compromised. Add more context and relevance to help the shopper make the purchase decision. What is the average distance after which the running shoe will wear out? Is the product water resistant? Is the down jacket enough for a temperature of -16 degrees Celsius? For how long will the flask keep the water hot? And much more. If your brand is specifically catering to customers in a particular situation, offer information about the product in the context of the situation. Creatively written product descriptions go a long way in fostering an emotional connection between the brand and the customers, improving brand loyalty and retention. Is your eCommerce Platform Capable? Maintaining these key elements may seem easy and that is how it should be. However, your eCommerce platform plays a big role in combining these elements to deliver the customer experience for your brand. To let your product images and descriptions tell stories to your customers, it is essential that the CMS offered by your eCommerce provider is flexible and customizable. From page designs, picture dimensions, category attributes, product Meta Data, Description box, colour palette, product sizes and much more, every aspect needs to be customized per your customer and not rigidly placed in some cookie-cutter template. To manage hundreds of thousands of SKUs that keep changing rapidly, you need a robust product information solution. Ideally, the solution should be a part of your eCommerce platform offering or it should be seamlessly integrated internal product information system. With the added complexity of updating product information across all your channels, an agile and scalable eCommerce platform built on the cloud will enable you to optimize product information faster and cost-effectively. How many retailers struggle with third-party order management tools? That deters them to rightly show delivery timelines and stock availability. Go for an eCommerce platform that also provides out-of-the-box order management system such that information flow between your warehouse, logistics department and eCommerce store is fluid. With a comprehensive and agile eCommerce platform, you can jumpstart your new online store with these three critical elements and add further elements with time to bolster experience for your customers. Which elements do you focus most on and how has it worked for you so far? Let us know your thoughts on this topic by adding your comments below. Which elements do you focus most on and how has it worked for you so far? Let us know your thoughts by writing to us at hello@omnicx.com.